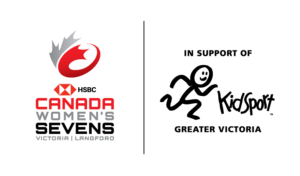 We are excited to announce a partnership with KidSport Greater Victoria for this year’s HSBC Canada Women’s Sevens tournament. Rugby Canada is committed to growing the sport through communities across Canada at the grassroots level. 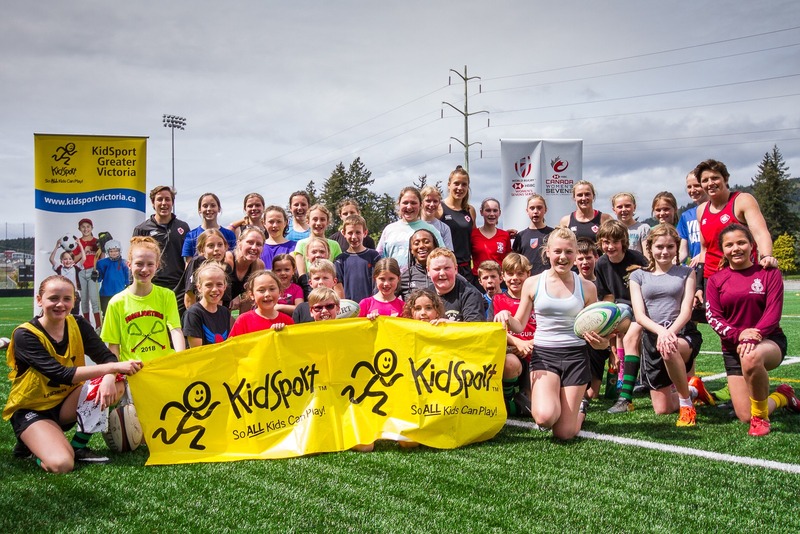 Through our partnership with KidSport Greater Victoria we aim to remove financial barriers that prevent children from playing the game we love, and the HSBC Canada Women’s Sevens tournament is our opportunity to give back. You too can support this important initiative by donating today. Your donation will go directly to funding a local youth/s rugby program in the Greater Victoria Area and help local youth be a part of a team and experience the benefits and positive impacts of youth sports. 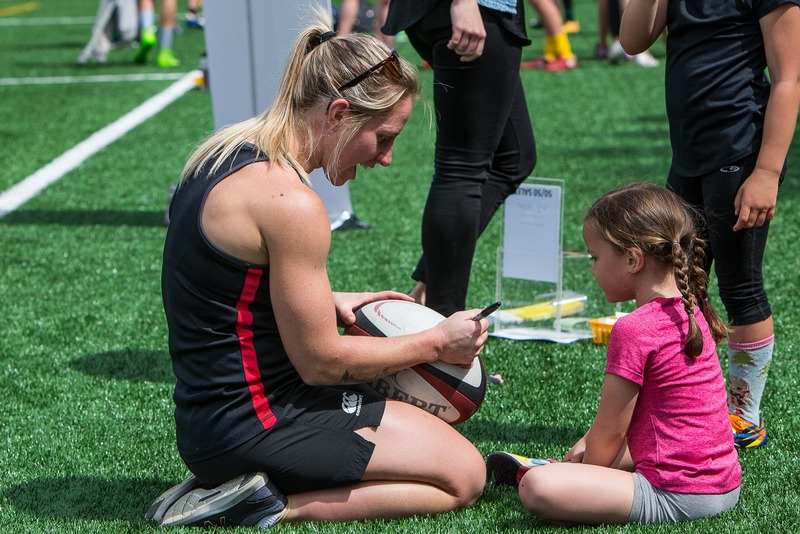 As part of their passion for growing the sport of rugby in Canada, the Canadian Women’s Sevens team will be holding a clinic for local youth on May 4th to share their love of the game and we want the young rugby player in your family to be part of it! THANK YOU TO THOSE WHO ATTENDED OUR MAY 4TH YOUTH CLINIC! Kids of all ages took the field on May 4th with Canada’s best players in rugby sevens for an afternoon of skill building, game play and all around fun! 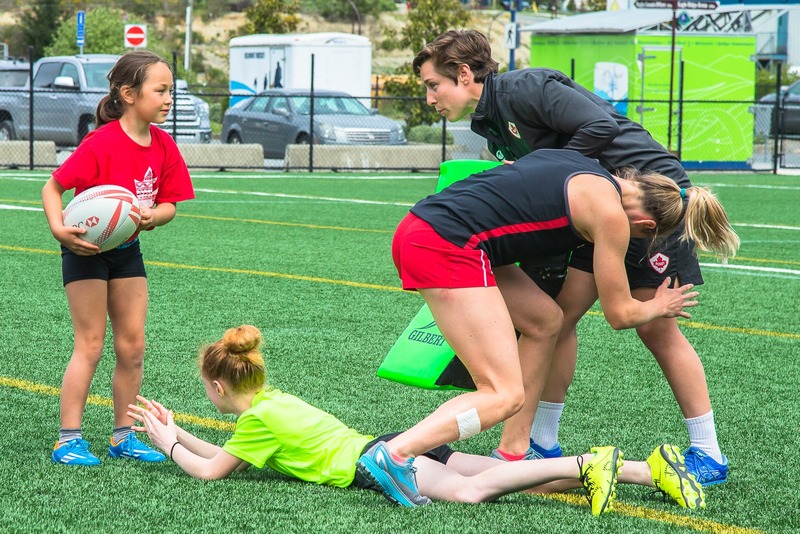 The Canada women’s sevens team were excited to share their love of the game with Victoria/Langford’s young athletes. Whether they were a keen rugby fan, or new to the sport, this clinic taught important basics of sevens and gave local youth a chance to experience the game.